“Income inequality is driven by technology and globalization”, argues Chrystia Freeland in this TED Talk presentation. This TED Talk is an absolute must for IELTS students because it covers a range of exam topics in just 20 minutes. Many interesting points are discussed during the presentation, and plenty of useful facts are shared. 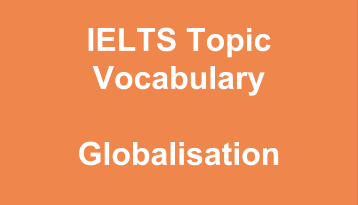 By using this particular video for practice you can not only find out a lot about the topics you will be discussing in your own IELTS Exams, but also really broaden your vocabulary. Once you understand the meaning of the topic specific terms and collocations listed above, take a look at the Example Task 2 question below. See if you can incorporate the vocabulary you just learned into your answer. Undoubtedly globalisation has winners and losers, who do you think these are? What do you think are the causes? Give reasons and examples to support your argument.